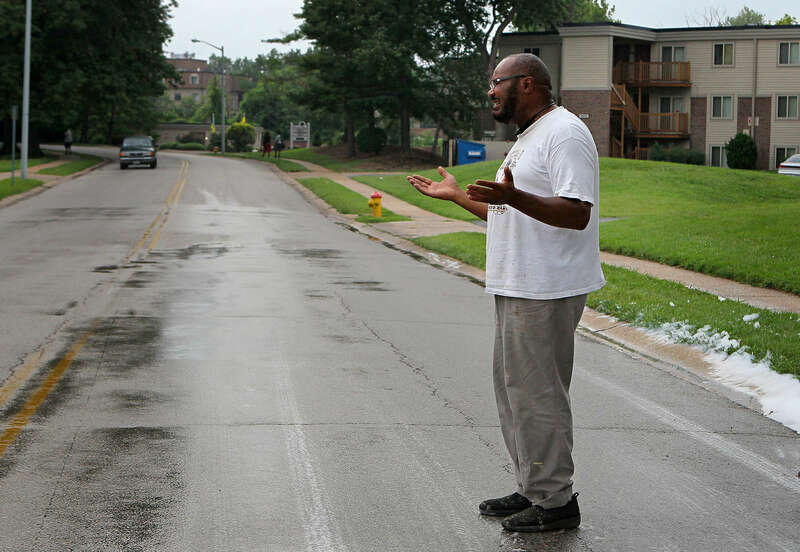 The pavement still wet from being hosed down to wash blood off the road, Pastor Charles Ewing grieves and prays near the spot his nephew Michael Brown Jr. was shot and killed by Ferguson police officer Darren Wilson in Ferguson, Mo. on Saturday, Aug. 9, 2014. Ewing was the first person to stand on the spot after the crime scene tape came down and police left the area.